Egypt’s president, Abdul Fattah al-Sisi, inaugurated what is now the largest Christian cathedral in the Middle East just in time for Coptic Christians to celebrate their Christmas holiday. 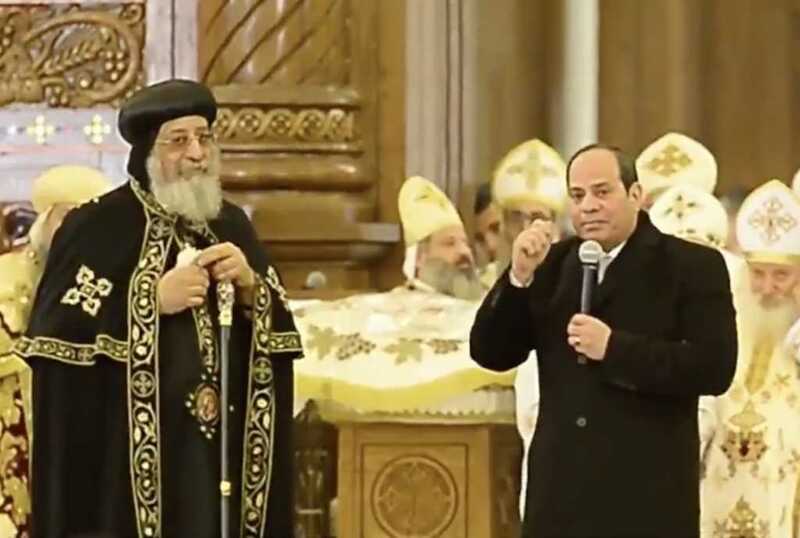 The new church — the Nativity of the Christ Cathedral — held its first Sunday Mass this week, a celebration in which al-Sisi participated, according to the BBC. The worship center is located near Cairo. Though Islam accounts for the vast majority of Egypt’s religious makeup, 10 percent of the population identify as Coptic Christians, or Copts. Over the years, many Copts have claimed the Muslim-majority country discriminates against them by not affording them appropriate security and protection. The Christian church’s opening coincided with the opening of the new Al-Fattah Al-Aleem Mosque nearby. Both religious facilities are located in a new development serving as the country’s administrative capital. Al-Sisi said the tandem opening of the mosque and the church was a sign of unity between Muslims and Christians in the Middle Eastern nation. The grand opening of the cathedral came two days after an Egyptian police officer was killed trying to defuse a bomb at another nearby Christian church. No group has claimed credit for the attack. For Coptic Christians, it should be noted, Christmas is celebrated on Jan. 7.